HDMI (High Definition Multimedia Interface) is a specification that combines video and audio into a single digital interface for use with DVD / Blu-Ray players, digital televisions, set-top boxes, Games Consoles and other audiovisual devices. HDMI supports standard, enhanced, or high-definition video plus standard to multi-channel surround-sound audio. 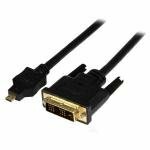 HDMI benefits include uncompressed digital video, a bandwidth of up to 5 gigabytes per second, one connector instead of several cables and connectors, and communication between the video source and the DTV. It transmits all ATSC HDTV standards and supports 8-channel digital audio, with bandwidth to spare to accommodate future enhancements and requirements. Instead of using multiple of the two dozen connectors on the back of a home theatre component, you use just one HDMI connection. 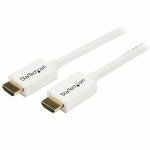 HDMI offers two big benefits: - Instead of needing multiple cables for the video signal and multiple cables for the sound signal, HDMI integrates all video and sound signals onto a single, thin cable. It makes it trivially easy to connect components together. 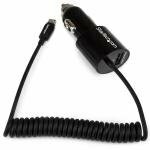 - Instead of converting digital signals to analogue (to run through the cables) and then back to digital, everything on an HDMI cable remains in its original, uncompressed digital format. 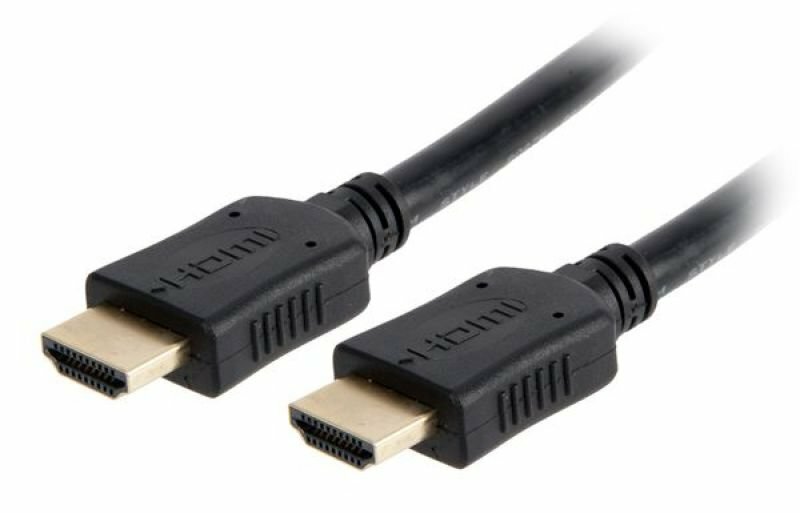 Our range of HDMI 1.4 cables are 100% compatible with all Hi-Definition Standards (720p,1080i, 1080p & Beyond) They are also HDCP Compatible (High-Bandwidth Digital Content Protection) - the content scrambling standard used in all current TV/Satellite and Cable boxes/DVD/Projectors etc.